Ripe and juicy watermelon salad proves not only effortless to prepare but also a surprisingly delicious mix of flavors! Thanks to b Restaurants for the recipe! 1 tablespoon mint chiffonade *cut mint fresh green thin ribbons! Peel and dice seedless watermelon into 1/2 inch cubes. Place 8 oz. 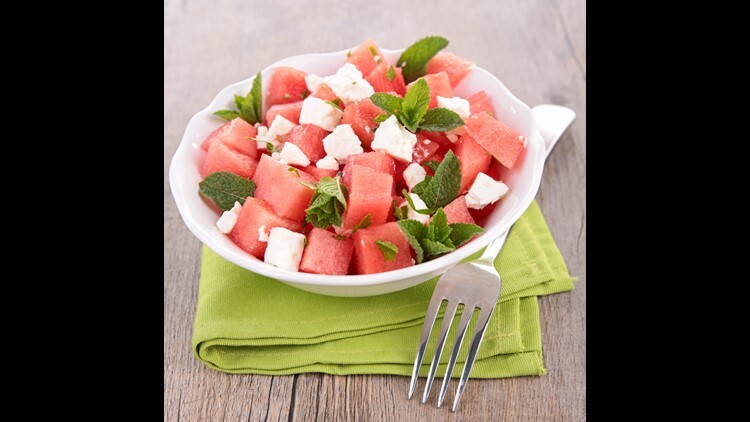 watermelon in side bowl, and top with feta and mint. Bring to the BBQ party and be a hit! Want more articles like this? Follow Great Day Washington on Facebook, Twitter & Instagram for more! Watch every day at 9am on WUSA9.